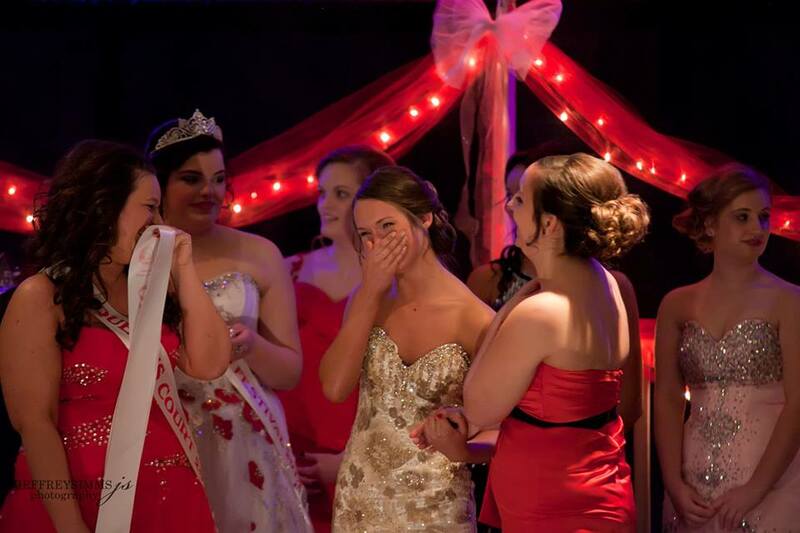 This year, the 34th Annual Miss Curwood Festival Queen & Princess Pageant was held on Saturday, March 1, 2014. Candidates for both titles were judged on their ability to communicate, intelligence, personality, poise, and overall enthusiasm for the community and the Curwood Festival. facilities for the pageant; Creative Catering by Dianne for the refreshments, Amanda Pirochta & Lisa Dexter for donating the Queen and Princess crowns; and Gayle Green Flowers and Owosso Floral for providing the décor and flowers for the winners and the judges. Also, Jeffrey Simms for photos of the Queen & Princess and courts; Soundwavz for providing the music and sound; David & Nina Hall for providing a convertible for parades; Premier Rental/Marr’s for the Queen & Princess furniture, and Why Knot Design by Erica LC for the program design. Many area businesses have donated gifts for the candidates as well, including: Ashleigh’s Dance Shack, Shiawassee Family YMCA, Reflections Salon, NCG Cinemas, Kazoo’s Family Fun Center, Biggby Coffee, Lance’s Bakery, Little Caesars Pizza, Fringe Salon, McDonald’s—Van Poppelen Organization, The Village Hair Shoppe, Greg Frank-Little Debbie, Memorial Healthcare Center, Megan Simms-Thirty One Consultant, La Bella Salon, Jill Horton-Independent Avon Representative, and Target Industries. Aubrey is the 19 year-old daughter of David and Tracey Minarik. She currently attends Michigan State University and is a graduate of Owosso High School. Aubrey's hobbies include running, traveling, and crafting. Aubrey is sponsored by Edward Jones Investments - Dave Minarik. Sydney is the 18 year-old daughter of Suzanne Brodeur. She currently attends Michigan State University and is a graduate of Owosso High School. Sydney's hobbies include baking, crafting, and attending MSU sporting events. Sydney is sponsored by State Farm Insurance - Matt Grubb Agency. Oliva is the 8 year-old daughter of Jeff and Missy McIntyre. She is in the 3rd grade at Emerson Elementary School. Oliva's hobbies include dance, softball, and reading. Carly is the 10 year-old daughter of Chad and Heidi White. She is currently in the 4th grade at Central Elementary School. Carly's hobbies include dance, gymnastics, and volleyball. The Queen and Court member are chosen to represent the Curwood Festival and the community at various speaking engagements, events, and festivals in the area, while the Princess and Court member are selected to attend parades and events locally. The Queen, Princess and Court members will reign over the four day Curwood Festival, June 5-8, 2014, while attending many events that weekend in downtown Owosso.